Find anything interesting? We’d love to hear your thoughts and experiences. Leave comment below to start a discussion. Have you got any leftovers from Easter lunch still lying about in the fridge? Are you having another roast dinner this weekend? Don’t let any of the beautiful roasted meat, veggies and juices go to waste. Make this amazing Roast Lamb Leftovers Risotto! Click on the recipe now, you won’t regret it. Roast Lamb Leftovers Risotto: so quick, easy and absolutely scrummy! If you haven’t read our latest blog article yet, make sure you click it today. We have been investigating the link between Eczema, Asthma and Allergies. In Part 1, which is already up on the blog, we focused on what scientific research has found and why many children have eczema, asthma and allergies. In the next couple weeks we will post Part 2 looking at your experiences of Eczema, Asthma and Allergies. We will be sharing your stories and what you have learned about prevention and management. 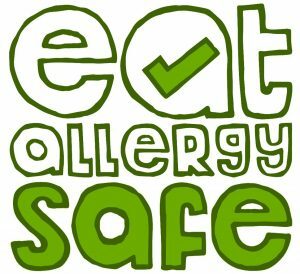 Eczema, Asthma and Allergies Part 1: Why Does My Child Have all Three?! Want to know what’s going on in the allergy world this week? Have a look at out top 3 interesting reads of the week. Got any articles you’ve read recently you want to share? Or have you got an idea for an article, we’d love to hear from you. Email us via the contact page here.